Chelsea Pied-à-Terre is featured in the July/August 2018 DWELL Magazine print edition! 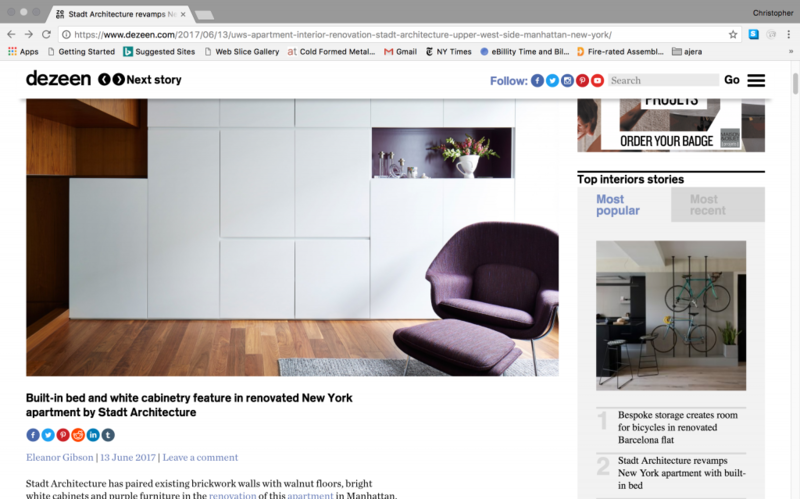 We are pleased to have our Chelsea Pied-à-Terre project featured in both print and online at dwell.com! Many thanks to our clients for the opportunity to work on your project and our collaborators for helping to make this project a success! Visit dwell.com to see the online story. Below is a preview of the print story–get your copy today from your nearest newsstand! Exciting news today! 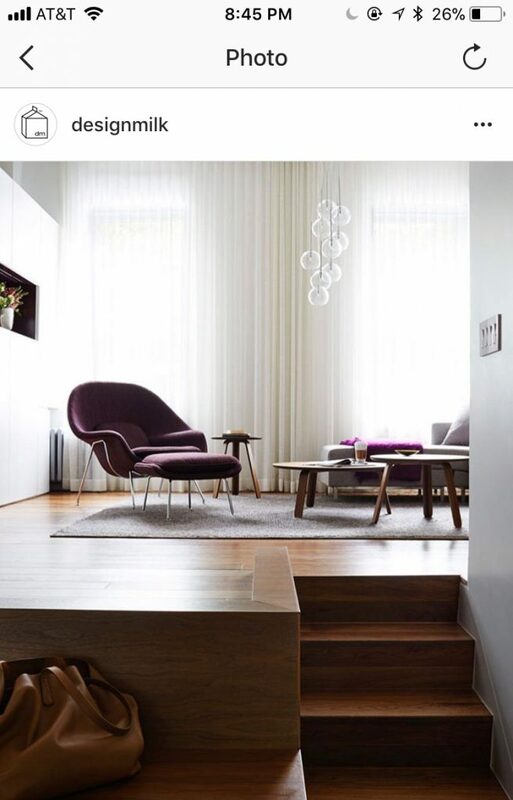 We are so appreciative to have our UWS Apartment I featured on Design-Milk.com’s website and Instagram feed! A huge THANK YOU to @designmilk for the press! To learn more about our project, please click here. Our work is now featured in Asia! Xièxiè to the editors at DESIGNWIRE. Click here to see the project coverage. 謝謝. STADT Architecture’s UWS Apartment I featured on Dezeen! Our work has crossed the pond! 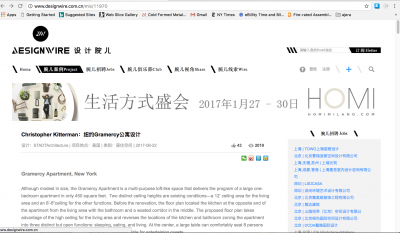 The UWS Apartment I has been featured on Dezeen. We couldn’t be more pleased to be included in this world-class influential architecture and design magazine. A most sincere thank you to Dezeen and to Eleanor Gibson for the article!